All the LaNague Federation fiction (the definitive versions, as revised by the author, of the core novels and all the short stories) issued together -- for the first time -- in three complementary volumes. 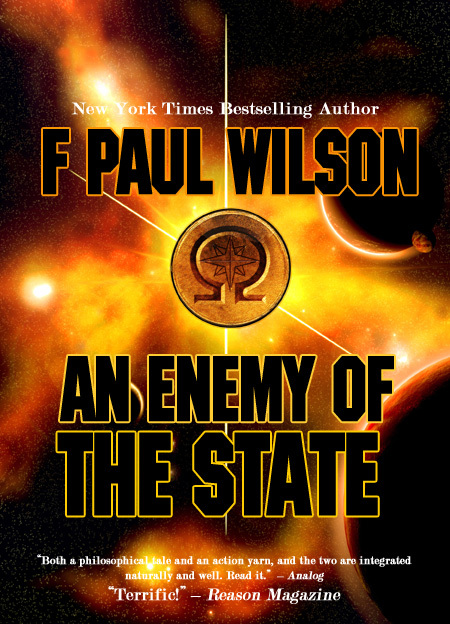 An Enemy of the State is the heart and soul of F. Paul Wilson's LaNague series, the story of the apocalyptic birth of the LaNague Federation. Peter LaNague's unique revolution sets out to topple the entrenched Outworld Imperium as well as fundamentally altering every Outworlder's concept of government. To accomplish this he must ally himself with a madman, trust the word of the last of Sol System's robber barons, make incisive use of the consummate warriors from the planet Flint (without allowing them to run amok), confound at every turn the omnipresent forces of the Imperium, and, every now and then, make it rain money. And those are the easy parts. LaNague's greatest challenge is to see his plan through to successful completion without becoming the very enemy he has vowed to destroy. Short stories "Lipidleggin'" and "Ratman" are reprinted in this edition along with an introduction by the author. The Infrapress edition has been revised and includes stories "Higher Centers" and "The Man with the Anteater" as well as a new introduction by the author. Canny old Pete Paxton thinks there's a monstrous conspiracy brewing that threatens the LaNague Charter and the freedoms it guarantees for Federation planets. The only way to head it off is to enlist the aid of Josephine "Jo" Finch, the current CEO of Interstellar Business Advisors, a firm Pete co-founded with Jo's grandfather more than half-a-century before. Jo mistrusts Pete and suspects he may be responsible for the bizarre death of her father, but she is soon convinced that the old man's fears are more than justified. Jo and Pete are soon matching wits with one of the shrewdest, most devious politicos in the Federation, threatened by a ruthless psi-talent whose victims face a fate far worse than mere death. They must also deal with the Vanek -- the gentle, enigmatic inhabitants of the planet Jebinose who, against all logic, claim to have murdered Jo's father. 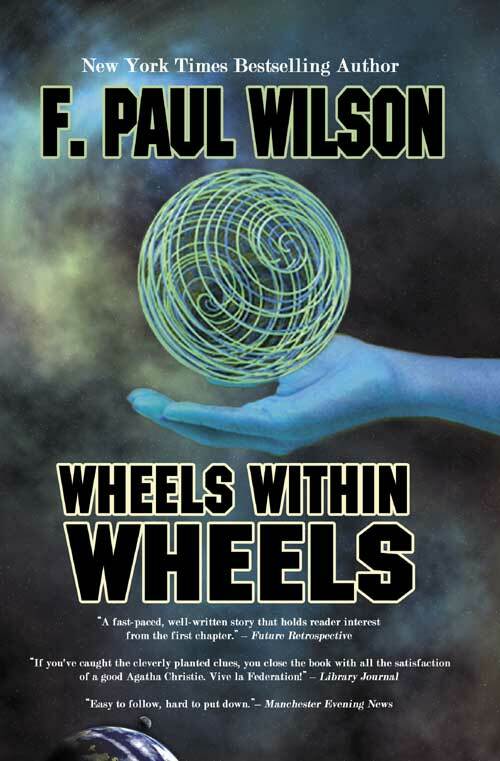 Wheels Within Wheels, Wilson's second novel, won the first Prometheus Award for Libertarian fiction in 1979. 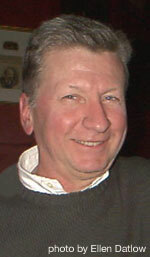 The award helped pigeonhole the author as "that Libertarian science fiction writer" and Wilson consequently dropped out of SF and wrote horror thriller (and beginning of the Repairman Jack franchise) THE KEEP (1981). "Higher Centers" (published in "Analog Science Fiction/Science Fact", April 1971) and "The Man with the Anteater" ("Analog", July 1971) were Wilson's first two published stories. In the far future, where intersteller travel and human-colonized planets have become reality, Steven Dalt is considered unreal. He shares his thoughts, knowledge, and experiences with an alien symbiote fused in his mind and body. Possessing the ability to regenerate damaged cells, he has been blessed -- or cursed -- with immortality. Every few decades, he must uproot himself and begin anew before his ageless appearance arouses suspicion. Centuries pass and Dalt evolves into a mythical being known as "The Healer", whose curative gifts are legendary. But the the horrors remain an epidemic created by a malign intelligence seeking humanity's destruction -- and only The Healer has any hope of defeating it. The Infrapress edition of Healer includes short story "To Fill the Sea and Air" and an introduction by the author. Paul Wilson is the author of more than thirty books. (A complete bibliography is available here.) In 1998 he resurrected his popular antihero, Repairman Jack, and has chronicled his adventures in LEGACIES, CONSPIRACIES, ALL THE RAGE, HOSTS, THE HAUNTED AIR, GATEWAYS, and CRISSCROSS. Horror novels THE KEEP and THE TOMB both appeared on the New York Times Bestsellers List. WHEELS WITHIN WHEELS won the first Prometheus Award in 1979; THE TOMB received the 1984 Porgie Award from The West Coast Review of Books. His novelette "Aftershock" won the 1999 Bram Stoker Award for short fiction. DYDEETOWN WORLD was on the young adult recommended reading lists of the American Library Association and the New York Public Library, among others. In 2004 he won a second Prometheus award for SIMS. He is listed in the 50th anniversary edition of Who's Who in America. His novel THE KEEP was made into a visually striking but otherwise incomprehensible movie (screenplay and direction by Michael Mann) by Paramount in 1983. THE TOMB is in development as "Repairman Jack" by Beacon Films. He has also written for stage, screen and interactive media. Despite his success as an author, Wilson has kept his day job as a practicing physician. Repairmanjack.com is his official Web site. The five "Healers" listed above are the five sections of the single novel of the same name. They span a great deal of time in the LaNague universe. *Dydeetown World and The Tery are peripheral (connected more by the author's whim than anything else) Neither participates in the socioeconomic and political themes that drive the three true LaNague novels.